With the Stanley Cup set to kick off tomorrow in Vancouver the big news out of the NHL today is the return to Winnipeg. The Atlanta Thrashers were sold to a group from Winnipeg, the same group that 3 weeks ago was working with the NHL to purchase, and relocate, the Phoenix Coyotes but after the City of Glendale voted to cover the Coyotes for another season the group turned their attention towards the Thrashers. The team (which is still unnamed, but most assume the name will be Winnipeg Jets) will be playing at the MTS Center. Now that Winnipeg has replaced the Jets the question of what may become of the Coyotes is on people’s minds. Many people feel that Quebec may be the next destination of a team on the move and I can almost guarantee that if a local owner is not found the City of Glendale, which is having budget problems, will not continue to pay for the team to remain a season at a time. Will the Nordiques become the next new old team? Today I want to thank all who have given their life in defense of this country. You may be gone but you will never be forgotten. On May 5, 1868 General John Logan, the National Commander of the US Army, issued General Order No. 11 which stated that every May 30th would be the observation of Decoration Day, a day in which the country would remember those who have died in our country’s service. In 1882 it was officially named Memorial Day and in 1971 it was changed to a floating holiday to give a 3-day weekend, which many veterans and politicians feel dilutes the significance of the day from a day of remembrance to what many people see it as now just a long weekend with beer and BBQ. I am dedicating this post to my brother who just retired after 20 years in the Army. He made it through some trying deployments in those 20 years but his 3 tours in Iraq were the most difficult on my mother and we are all happy that he is home for good now. Press Pass has an American military themed product coming out this week, just in time for Memorial Day. 2011 Press Pass Stealth is being advertised as “Press Pass Stealth 2011: For Those Who Serve and Collect” and should hit shelves June 1st. Each box will contain 1 autograph and 1 race-used memorabilia card and the boxes are running @ $90-95 each. This is actually quite a small set. The base set is a 100-card checklist but consist of only 48 total drivers, 30 NASCAR Sprint Cup drivers and 18 Nationwide Series drivers. But the main focus of the set is the theme with autographs for each military branch, memorabilia cards based on medals and a number of military themed inserts. Obviously being a NASCAR product it will appeal to only a certain type of collector but I think that Press Pass has done a wonderful thing here showing love for our troops. The only downside is that similar priced Press Pass NASCAR products contain 1 autograph and 3 memorabilia cards where Press Pass NASCAR releases with 1 auto and 1 memorabilia usually run in the $70-75 range so this release seems a bit high for what you pull. Even though Upper Deck has lost their MLB licensing that has not stopped them from continuing the SP Legendary Cuts line, a solid release that brings joy to collectors (well, those that can afford a box). Here is the kicker, THERE ARE NO REDEMPTIONS! This year’s 2011 SP Legendary Cuts will be hitting shelves next month at a wallet-damaging price of $220/box. Each box contains only one cut signature card and all cuts are limited to #/40 or less. If you can afford the price tag for a 1 card pack then you are sure to pull something well worth the cost. Some of the highlights in this set, along with the significant list of baseball players, are also an interesting collection of historical cut signatures including Presidential Emblem Cuts, First Couples, Presidential Winning Tickets, Royal Couples and a Camelot Quad Cut. Presidential Emblem Cuts: A booklet card that contains the signature of one of the 43 Presidents along with a Presidential Seal, all cuts are limited to #/5 or less. First Couple Dual Cuts: Booklet cards featuring Presidents and their First Lady, all cuts are limited to #/2 or less. Presidential Winning Ticket Dual Cuts: Booklet cards pairing the cuts of Presidents and their Vice Presidents, all are limited to #/2 or less. Royal Couple Dual Cuts: A 1/1 booklet card featuring royal couples. Camelot Quad Cut: A 1/1 quad booklet card featuring cut signatures from the Kennedy clan including JFK, RFK, Ted Kennedy and Jackie Kennedy. Legendary Cuts: A 200 card base set that features 91 Hall of Famers among other notable players. All cards are limited to #/35 or less. Legendary Black Cuts: A 400 card base set that features the greatest franchises including 75 Yankees; all cards are limited to #/40 or less. Exquisite Cuts: A 100 card base set that features the greatest lineup ever including Cobb, Gehrig, Ruth and Robinson; all cards are limited to #/5 or less. Upper Deck knows they have something special here and they continue to put together a beautiful set but I think that unfortunately in their attempt to put out a superior product they are forcing themselves to step above and beyond what Topps and Panini are producing and this has led to some less than spectacular cuts. The Quad cuts like the Camelot and Black Sox Quad cuts look beautiful. UD got some nice cut signatures to work with and the design is appealing (I would have liked player images on the Black Sox cut but still an amazing piece) but then the jump to the 8-cut Murder’s Row card and it is just a hot mess. The design is fine but the trouble comes from the signatures used. There are six different colored paper, different inks, different angles and obscure cuts (Gehrig and Collins) really cause a flaw in the visual aesthetics of the booklet. This is a case where creating multiple booklet cards, possibly even individual cards, would have been a better choice. Oh and did I mention that THERE ARE NO REDEMPTIONS? 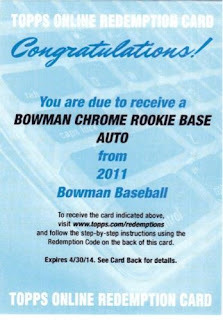 Now Upper Deck has laid down the gauntlet will Topps and Panini follow suit? I seriously want that Black Sox Quad cut, I wrote up a bit about the quad cut back in March when UD first posted up some images of the upcoming set. The final card does look different then the mock up image released in March. In the final card the Gandil signature looks like it is cut off along the left side. The Cicotte cut is a nicer signature then the mock up version. The Comisky signature is more stylized on the final version but I like the mock up version for some reason, maybe because it is more personalized. The final Landis signature is nicer because it includes his entire signature instead of just his last name but sadly because it is a long signature it looks to be cut off along the right side. No matter what I would love to own this card. Do you ever think back to the “Attitude Era” of WWF/E and wonder what happened to some of the wrestlers of the time? Some have held on to their WWE career like The Undertaker and Triple H, some have moved on to a decent movie career and some have just disappeared from the limelight only to show up in tiny arenas and bars (Think Mickey Rourke in The Wrestler). My wife works for an international company here in Phoenix as an organizer for their learning center and as part of her job she will often set up sight-seeing trips or get tickets for local events for the participants flying in from around the world. As a perk she is usually offered free tickets or discounted tickets for shows and sporting events like Diamondback games. So she calls me today and says “I got us free tickets for some sort of extreme fighting event on Sunday night”. As a MMA fan I know that none of the major fight leagues were in the area so I had to see what she was talking about. Turns out the tickets are for Elite Xtreme Wrestling. I know… I know… you are Googling it right now. It is a local wrestling league here in the East Valley but color me surprised when I saw that old school wrestlers Val Venis and Tommy Dreamer are the big names. This is a league that usually wrestles in a bar, is sponsored by a tattoo parlor and in April they actually did a free show in an elementary school gym. Some have definitely dropped from Olympus to wrestle among the mortals. But I still look forward to a fun show Sunday night, I am hoping that they do shows like the old ECW wrestling when they threw people through tables and everyone took a folding chair to the head before the night was over. Hopefully I can get some nice pictures of some extreme,... oops sorry, I meant Xtreme, wrestling. Growing up I was as much a super hero fan as the next kid. 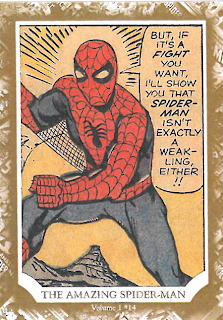 I loved Spider Man above all but I would not consider myself to be a comic book collector. 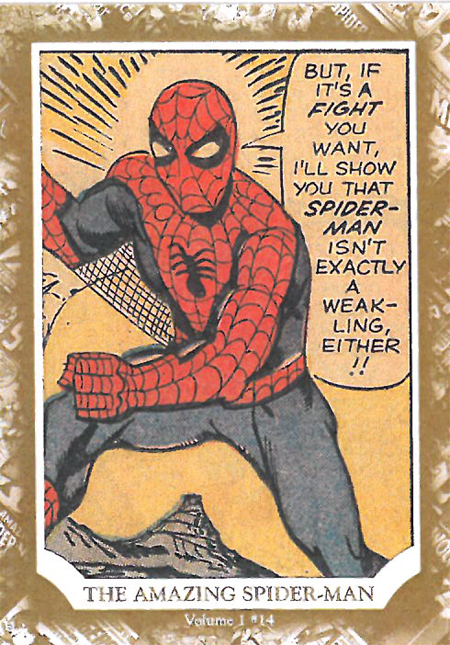 For nostalgic reasons I still enjoy comic cards though. 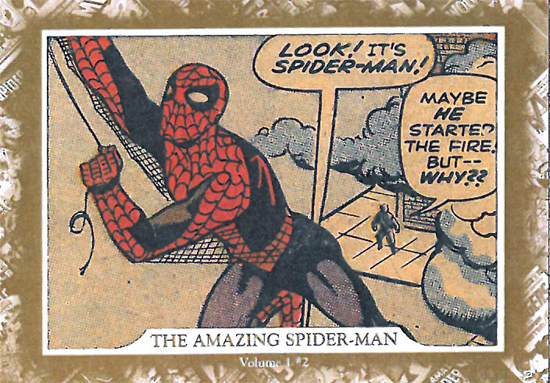 Recently Upper Deck released 2011 Upper Deck Marvel Beginnings set, a pretty typical comic card set consisting of 180 card base set along with the staples like sketch cards, autograph cards and hologram cards but what is getting the most attention is what was not included on the sales sheets, the “Ultimate Panel Focus” insert set. 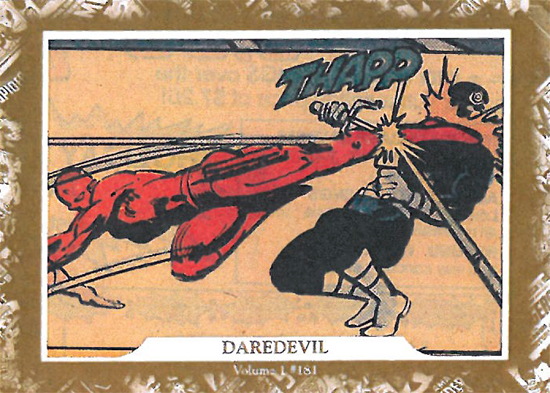 A set consisting of panels cut from classic comic books including Spider Man, the Avengers and Daredevil. This insert set contains panels cut from original comic books and inserted in to a card in a similar fashion to a cut signature. When you look at them you realize that this is a perfect marriage of cards and comic books. 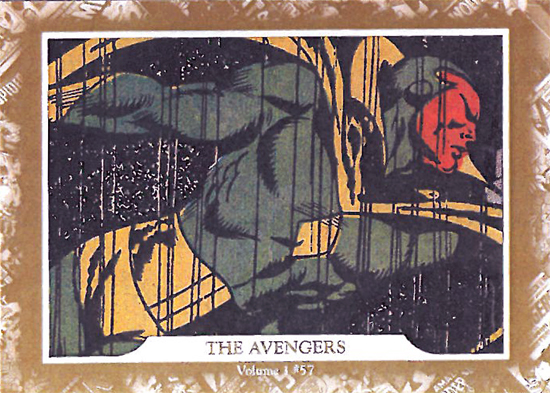 There are 10 cards on the checklist, 8 Spider Man, 1 Avengers and 1 Daredevil version and they are all limited to #/68 or less. The only downside is the sepia-tone borders, with the yellowing newsprint the cards look washed out. I think either a solid black or a classic black and white border would have worked well in this case; the panel would become the center of attention. 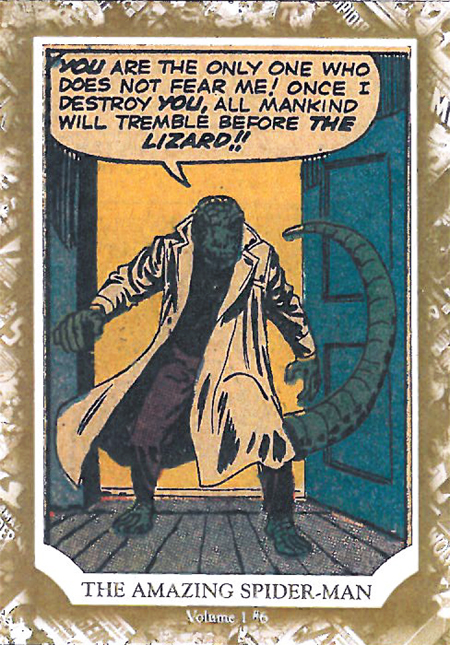 A couple of the Marvel Ultimate Panel cards have begun to show up for auction but with prices well over $100 I do not see any of these cards making their way in to my collection any time soon. Now the cards all priced over $100 are BIN so I guess as more show up for auction we will be able to gauge a realistic price. 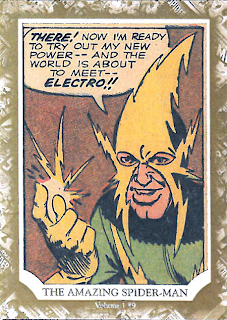 How many of you recognized this guy without even looking him up? For those of my readers who did not watch TV from 1988-93, this is Jason Hervey, also known as Wayne Arnold. He played Kevin Arnold’s irritating older brother in the television show The Wonder Years. That show is one of the first shows, besides MASH, that I actually remember the series finale because they ended the show right. How many of us still connect Daniel Stern’s voice with Fred Savage? In case you are wondering why Jason Hervey is on a TNA card, it is because he is now a television producer and has been working with Eric Bischoff for years. He is the Executive Producer for TNA Wrestling and Tristar decided to add Hervey to their checklist for the upcoming Xtreme release (scheduled for a December 22, 2011 release). He has both a base card and an autograph card in the set. Thanks to Leaf Pop Century we now have 2 of the 3 Arnold kids on cardboard in 2011. Where oh where are you Kevin Arnold? Please will someone do justice and get Fred Savage in to an autograph set this year? Earlier today the Macho Man, Randy Savage, had a heart attack while driving his Jeep in Florida, he crossed the median and hit a tree. Randy died due to his injuries but his wife, who was a passenger, survived with only minor injuries. Many of us are old enough to remember his wrestling career, mainly with WWF and WCW, but how many people knew he began his professional career playing baseball? He was a catcher for the St Louis Cardinals and Cincinnati Reds minor league affiliates between 1971-1974 before quitting baseball and following in his father's footsteps in to professional wrestling. 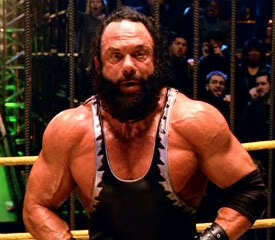 He also had a little acting career on the side, you may be familiar with his portrayal of Bone Saw McGraw in Spiderman, the wrestler who will take on all comers for 3 minutes. 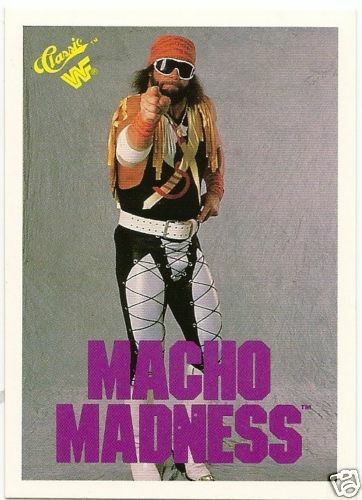 Ooh Yeah Randy Savage... You will be missed! When you enter your code you will be able to see which player you will receive along with the parallel color if it is a parallel.There is currently 25 mystery redemption cards up for auction ranging in price from .99 cents to $50, 23 of them have been posted within the last 24 hours. Earlier today Brian Gray posted on the Leaf Facebook page that he was going to be releasing the final images of both the Pop Century Kennedy/Oswald relic card and the Joe Jackson cut signature card. The Joe Jackson card is a decent looking design, it has a very “American” patriotic feel to it and the cut signature fits nicely in to the layout. The signature appears to be from a newspaper clipping and it is signed in pencil. 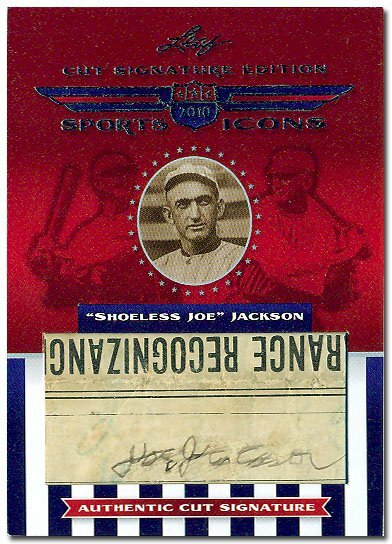 The downside is that Joe Jackson did not sign very well, he was actually illiterate until late in his life and most Jackson autographs were signed by his wife Kate, and it appears to have been smudged. That is the problem with newsprint, it is porous and both ink and pencil are easily marred. I do like that Brian Gray decided to adjust the cut signature position compared to the mock-up that I posted about back in November. The original image showed the signature higher in the box with some scratchout marks underneath his name. Even with the newspaper heading upside down the card has a more professional look. This is a high-end product that delivers some insane cards, we are talking amazing patches, and limited numbers plus every autograph (except the cut signatures) are on card autographs. This set is apparently the “National Treasure” NHL version so you can expect something special out of each box. Highlighting Dominion’s myriad collection-making cornerstones are . . . I give this set 4 out of 5, there are plenty of great things to like about this set and really the only downside would be the price. Interestingly it seems like most of the card companies can get hockey cards right. 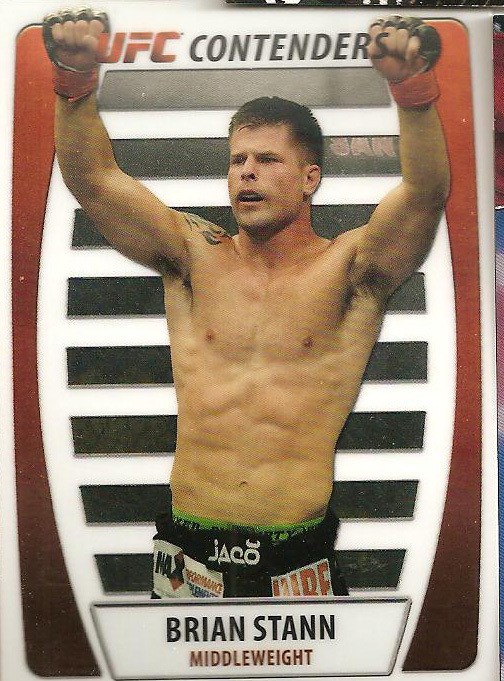 Today I received my box of Topps UFC Title Shot from Dave & Adam's Card World that I bought on pre-sale last March. I have been waiting patiently as the product got delayed a week and then once it was released I had to wait longer when UPS screwed up the shipment from the original 3 day scheduled delivery to finally delivering it 7 days later but I just opened the box and ended up getting shorted not just 1 hit but 2 hits. I only got 1 autograph and 1 memorabilia card instead of the guaranteed 2 autos and 2 memorabilia cards. 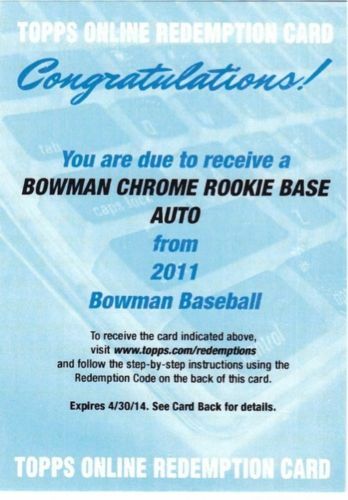 I am holding on to everything and just emailed Topps' Customer Service. Hopefully this can be straightened out pretty quick. I will post up what I did get pretty soon. Back in March I did a pre-sell for a box of Topps UFC Title Shot, which at the time was scheduled to be released on May 6th. The product was delayed a few days, until May 11th, but no big deal. 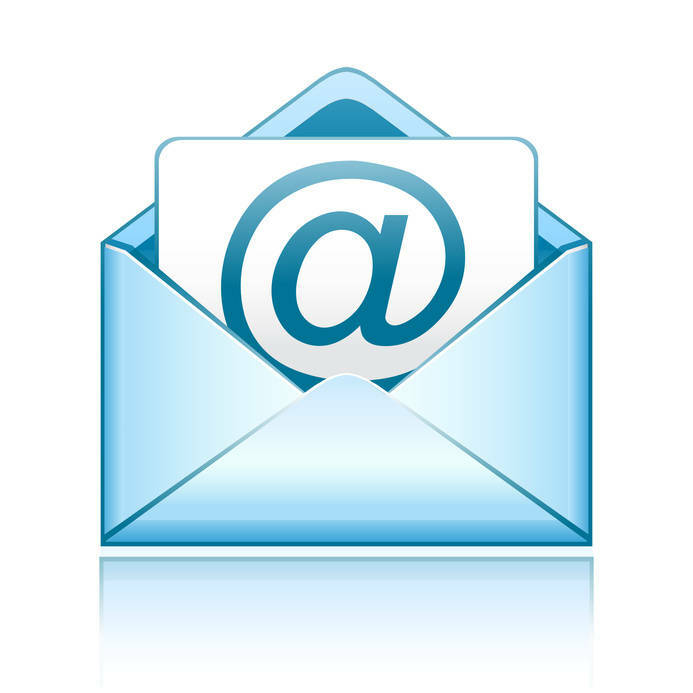 On May 9th I got an email from Dave and Adam’s Card World saying my purchase has been shipped and was expected to be received on the 12th. The 12th has since come and gone and no box, according to UPS I am now looking at a May 16th delivery date. So while I wait for my box to finally get here I saw some UFC Title Shot blasters sitting on the shelf at Wal-Mart on Friday night so I grabbed up a box just to keep me satisfied until Monday. Each blaster comes with 5 packs, 6 cards a pack, plus a Manufactured Patch. The base cards are nice action shots with a full-bleed image of the fighter along with the fighter’s name, weight class and league (UFC, WEC, etc.). The design is more of what you would expect from Upper Deck but Topps uses it well and is actually nice when used for MMA style action shots. Each pack also include a Gold parallel which is the same as the base card but all the text is in gold along with a gold graphic along the side border. The backs have the fighter’s name, basic information and a short write up about the fighter. The inserts that I pulled include a Legacy insert, Rich Franklin, and it reminds me of the Fleer sets of the late 80s. The Legacy insert checklist consists of 26 former and current UFC Champions. The Contenders set is based on the Topps Finest sets with a glossy coating and design. The Contenders checklist has 25 fighters who have proven their worth and have the potential to be a title fighter. I pulled Brian Stann who is 10-3 in 5 years of fighting. He is scheduled to fight Jorge Santiago at the end of the month. I know a lot of people do not like manufactured patches but in some cases I think they are a nice addition to a product. I think this is one of those cases. Creating a flag patch for the fighters is cool because MMA fighters are from around the world and this is a nice way to represent the home of the different fighters. 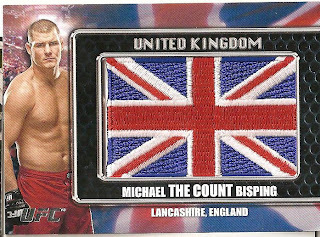 We have seen similar ideas like this before, Leaf MMA included the National Pride autographs in the International Release which has seemed to go over pretty well with collectors. 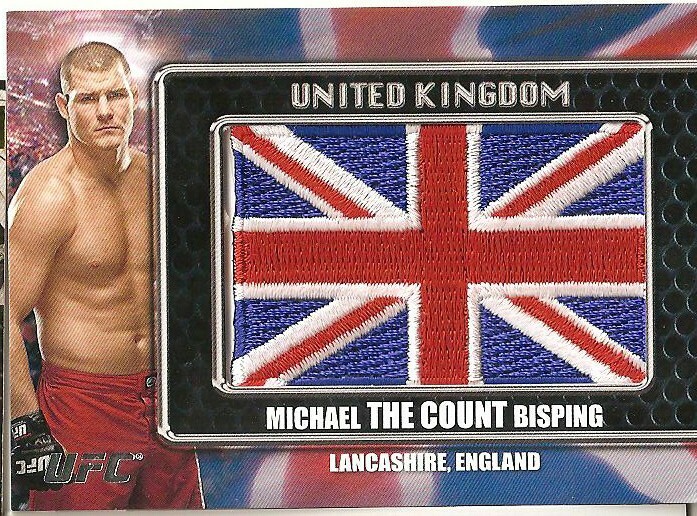 I pulled a Michael Bisping UK patch, a fighter I have followed since he appeared on The Ultimate Fighter in 2006. Leaf has released the information for their final MMA wrapper redemption program (Offer #4). The redemption program runs through June 1, 2011 or while supplies last. When you send in 16 wrappers you will receive one of the four available 2011 Leaf MMA Metal Alistair Overeem preview cards. The cards are Silver, Red, Gold and Prismatic and there will only be 200 cards total, so most likely 50 of each card is available. The first offering (Offer #1) was a 2010 Leaf MMA Shogun Rua autograph #/85. This offer was valid through 1/31/11 or while supplies last and has since expired. 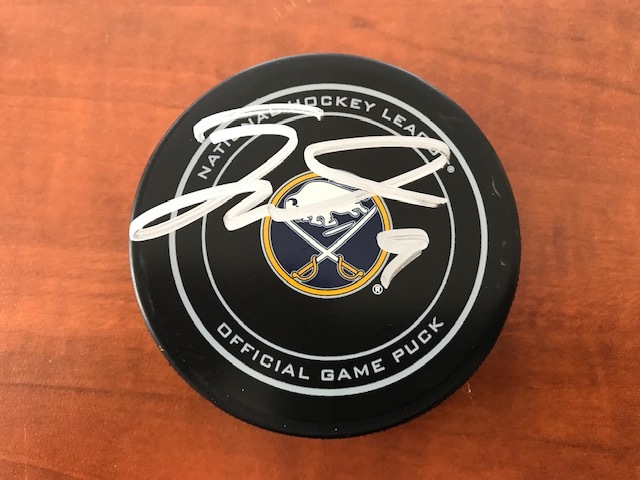 There is only one of these available for auction and it was just posted with a $1 starting bid but the last one I did see sold for $180. The second offering (Offer #2) was a 2010 Leaf MMA Alistair Overeem autograph #/185, this offer has since expired. There is only one of these available for auction and it was just posted with a $1 starting bid but the last one I saw sold for around $250. At this point it is nearly impossible to find any Overeem autographs. 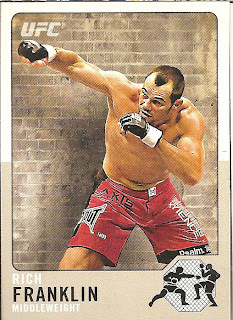 I did check with Brian Gray and he let me know that the Jon Jones autograph redemption cards are not numbered (though they only had 99 available for the redemption) and are the same exact cards that you find at Blowout Cards. 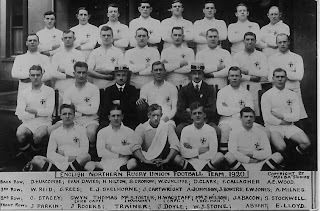 Part II of my 1920 Godfrey Philips BDV silk cards posting is a card that I can actually trace to a specific team, the Middlesbrough Football Club. The Boro (or Smoggies) were founded in 1876 and at the time of this card were just an average team before being relegated to Division Two following 1924 season. Interestingly even those these cards are 90 years old they can often be found up for auction for a couple of bucks though I only found them being offered by English sellers. I think the problem being that since the cards are not of any single player only team collectors are buying the cards so bidding does not usually become a problem. While looking up the history of these cards I came across other cards from the set and I found that some of the footballers were all in the same exact pose. I guess it would be easier to use a couple of poses only and just change out the ink used in the coloring of the player’s kit. 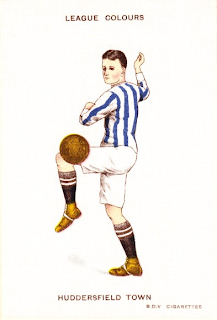 I am including an image from the Huddersfield Town FC card for comparison. This card is in much worse shape than the rugby player. The thread is pulling on all sides of the card, the upper right hand corner is unwound completely and there is significant staining through the entire card, it actually looks like someone used it as a coaster and I say that only half joking. Also I am not sure if the card was cut at an angle or if time caused the warping but the card is not rectangle but actually more of a parallelogram in shape. I missed posting a Vintage Card of the Month for April so I will be making a two-part posting to catch up, one for April and one for May. Because I am posting a double dose of vintage I decided to make a connection with the cards as well. I am going overseas for this duo bringing to the blog a couple of 1920 Godfrey Phillips BDV silk cards from England. 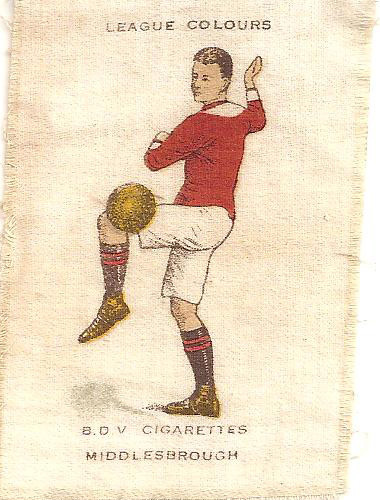 First up is the BDV Cigarettes Yorkshire County Colours silk card. 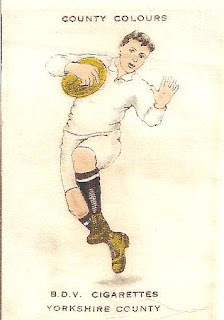 These cards were created not to depict a player but instead to represent a team’s colors. Yorkshire County was actually one of the largest rugby unions at the time so I believe the marking on this card is just denoting the league and not a specific team. 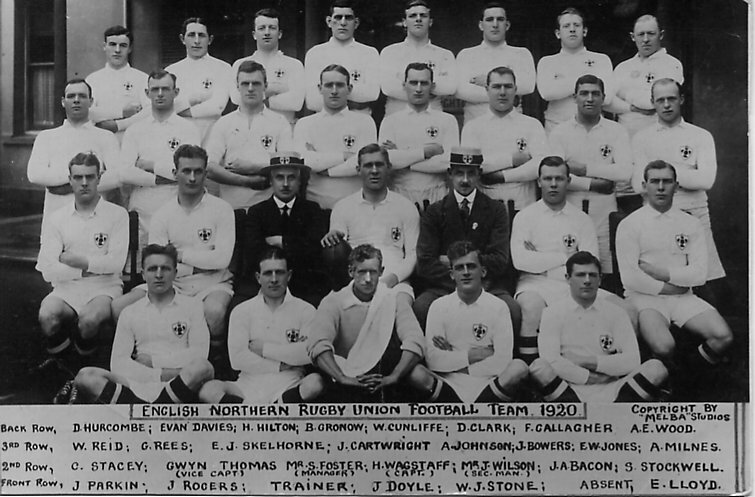 I have had difficulty finding any information about WWI-era rugby teams in England and was not able to get a definitive answer as to which team this player represents but this player’s uniform does bear a striking resemblance to the English Northern Rugby Union Football Team uniform minus the crest. The card is in pretty good condition considering that it is 90 years old. The stitching has remained in place outside of a single thread along the bottom right corner. There is some staining which appear to be fingerprints across the center of the card and if you were wondering, it smells like old linen. 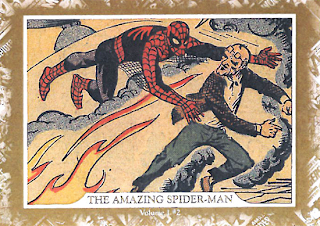 There is some amazing detail on this card, something I would not expect from a card of this age. The player has defined eyebrow, finger nails on his right hand and even individual shoelaces. Will There Ever Be Love For Boxers? After tonight’s Manny Pacquiao-Sugar Shane Mosley fight, which Pacman won in a 12 round decision, it got me thinking about the boxing collecting world. It seems like up until recently the sport has not had much love and honestly the major card companies are still not even really looking in that direction. Besides Leaf’s 2011 Muhammad Ali release and Creative Cardboards 2010 Ringside Boxing release is there even anything on the horizon? Besides a possible 2012 Muhammad Ali set from Leaf I do not even hear any rumblings. 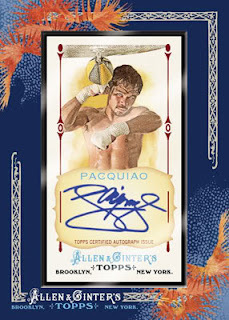 Now we do see some companies cherry pick boxers like Topps is including 3 boxers autographs in their 2011 Allen & Ginters release (Pacquiao, Jake LaMotta and Micky Ward) but they are also including ice dancers, a Parkour runner and a couple of chefs in the autographs insert so it seems like they are just grabbing people now. Hell they put employee cards in last year's set, what is next on the checklist, the delivery guy's worn sweat socks relics? I think part of the problem may be that there are multiple boxing organizations (WBO, WBA, WBC and IBO among others) so I am not sure how a card designer would work this, would they have to sign each organization as well as individual boxers? I guess that could make for a logistical nightmare. Today is an unofficial Star Wars geeks, myself included, favorite day because it is Star Wars Day! Originally I had planned on creating a Top 10 list of some of the best Star Wars cards to ever be released going back to the original 1977 release through modern day cards but long story short I just got back from the hospital and I am ready for bed. 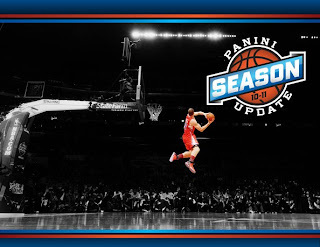 Panini has taken a step forward by creating a set that utilizes on-card autographs, more than 1000 on-card autographs to be exact though there are some sticker autographs still in the set. 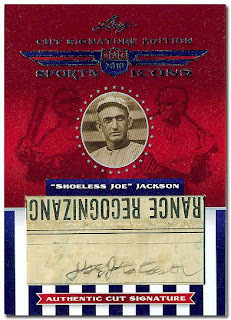 This is something that card companies need to continue, the sticker autographs are blight to the hobby. I also like the Green Week relic cards (the idea, not the design) because many of the teams use a special jersey during the week to celebrate environmental awareness. Does it seem odd that some NBA teams create special jerseys to use for a week only to raise awareness for environmental protection? Sadly almost all of the insert designs that Panini previewed are horrible. The Rookie Challenge auto-memorabilia cards are all over the place and the Green Week and All-Star relics are a complete fright. Honestly, even though the preview images are of prime patch versions not even a cool patch can save the card. This is a case where a bargain price point ($2.99/pack) gets you a bargain price design. The sad thing is that if you read the comments being left on Panini’s blog apparently some collectors are being blinded by the use of prime patches in the preview pictures like these collectors assumes that every hit will be a prime patch. I can guarantee that with some of these inserts being numbered to #/799 there will be plenty of plain white swatches, will these same collectors be praising the “Sick designs” or will they just be sick of the designs? One of the biggest draw of the set, the Dual & Triple Auto Rookies, is sticker autographs. You would think that if any insert contained on-card autographs that this would be the one Panini ensured was the one. I can understand the difficult logistics of getting two or three players to autograph a single card let alone up to #/99 (Dual) or #/49 (Triple) cards but if this was the intent from the set inception then Panini should have made it happen. In a day where one subject is the topic of almost every news outlet a single rookie card went up for auction through SCP Auctions and ended up making waves in the hobby. 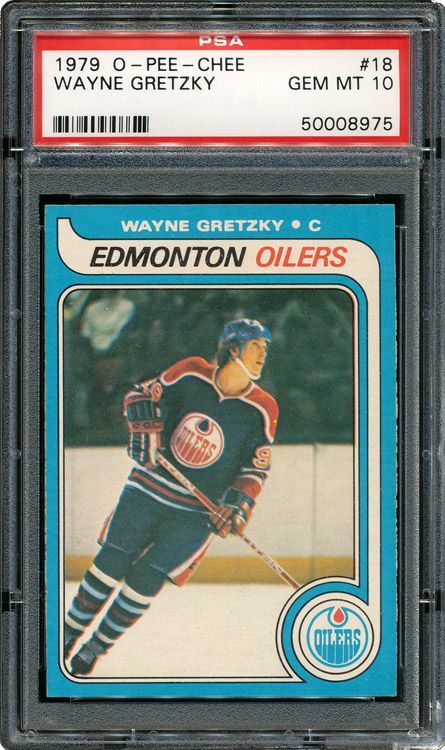 A 1979-80 O-Pee-Chee Wayne Gretzky PSA Mint 10 that less than 3 years ago sold on eBay for $50,000 ended up closing at $94,162.80. One thing that has been pointed out is the rough edges of the card and the question of this being a true Gem-Mint card. If you look closely you will notice that three of the edges (right, left and bottom) are in rough condition. Is this card really a PSA 10 or did PSA error (on the side of the Great One)? I included the scans of the front and back of the card so you can get a better look.